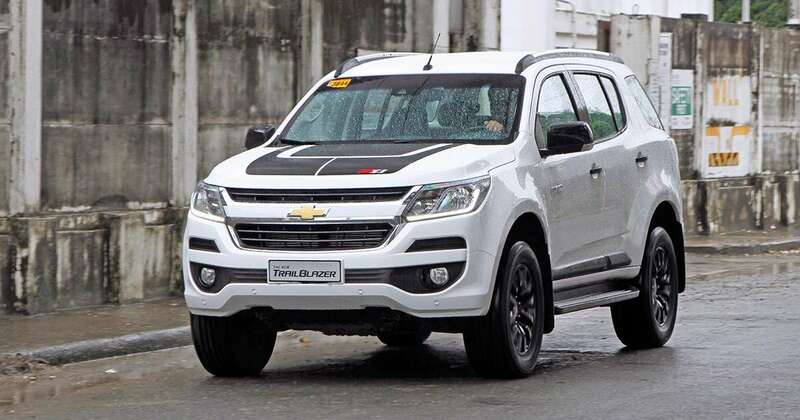 Filipinos have little taste for anything that isn't a sedan or an SUV. Other than the odd Starlet, Focus or Mirage, not many hatchbacks have sold well in our market. 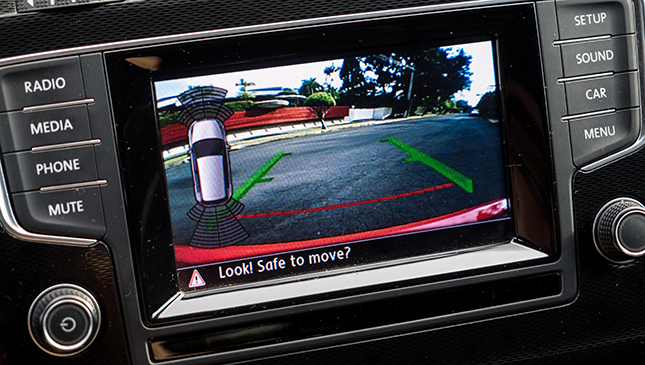 Due to this, manufacturers tend to shy away from introducing hot hatches. Come to think of it, the only one released in recent memory is the Peugeot 208 GTi. 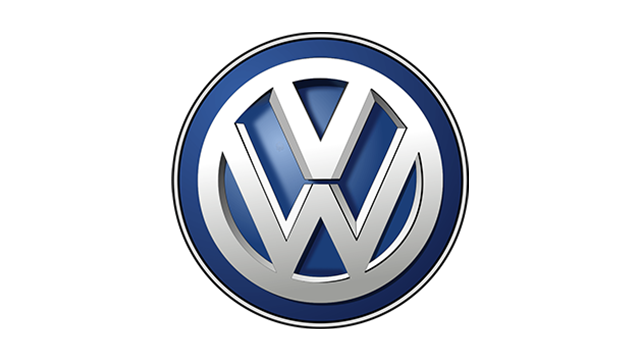 Volkswagen wants to change this with the Golf GTI—the mother of hot hatches. There has only been, and ever will be, one car deserving of that badge, and its impact 40 years ago changed the European motoring landscape forever. This car is a holy grail, and I was lucky enough to have the chance to drive it. When it was launched all those decades ago, people had never seen anything like it. It was blisteringly quick, exceedingly nimble, and yet surprisingly practical. 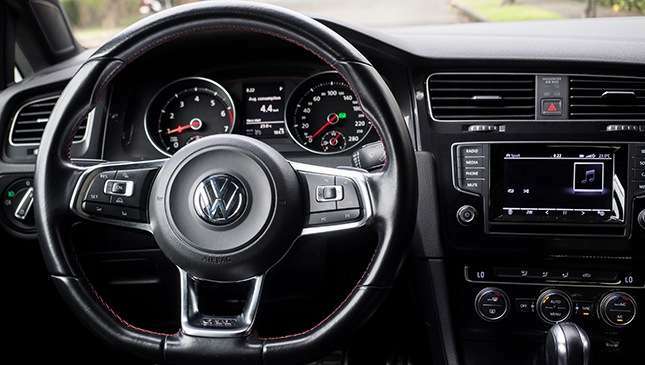 Can this, the Mk7 Golf GTI, ever live up to my lofty expectations? The GTI I had came in a striking red color. 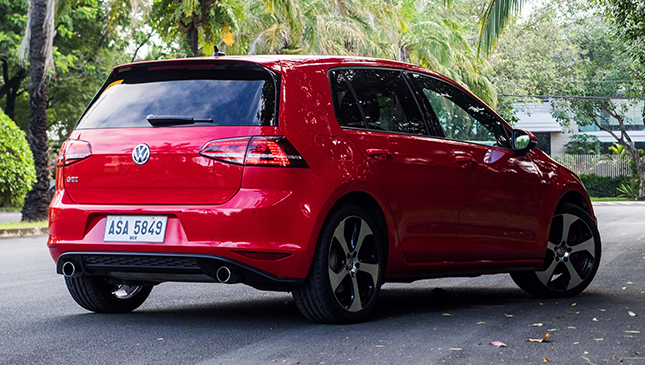 Lacking the contrast with the red go-faster stripes, the Golf is smaller than it seems in photos. 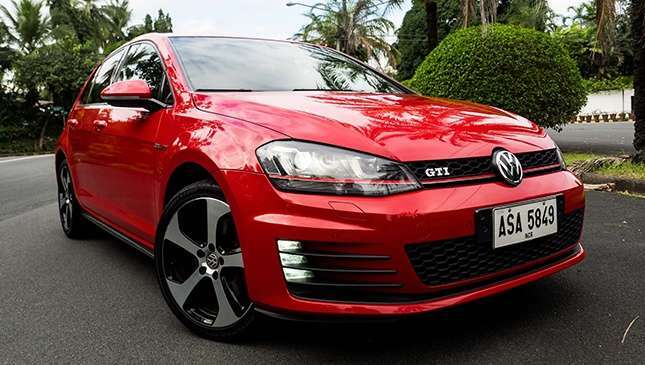 The front fascia is a no-nonsense German look and the alloys are perfectly subdued, conveying a sophisticated and unmistakably European vibe. It cannot be stressed enough however that this car looks a bit plain. It is, after all, a nippier version of the normal looking Golf. Not that it’s a bad thing, as I’ve always loved sleepers and this exudes it. Those who will be impressed are fellow enthusiasts, and that is its own reward. You feel a kinship when you realize someone has noticed what you’re driving, and it feels like you’ve joined an exclusive car club with a secret handshake. It’s all very subdued, but that may be the point of the Golf. 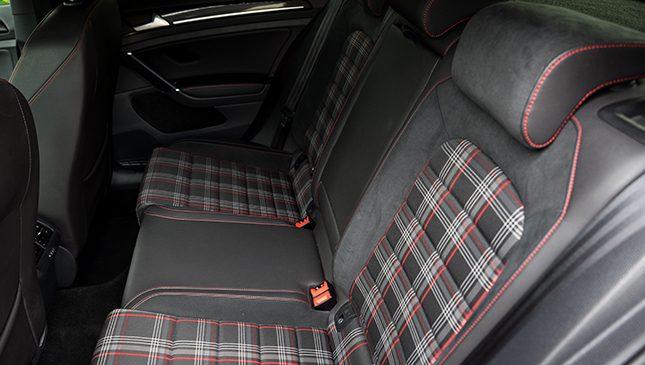 Enter the GTI and slip into the amazingly bolstered seat. It feels as Teutonic as any car from the Fatherland. 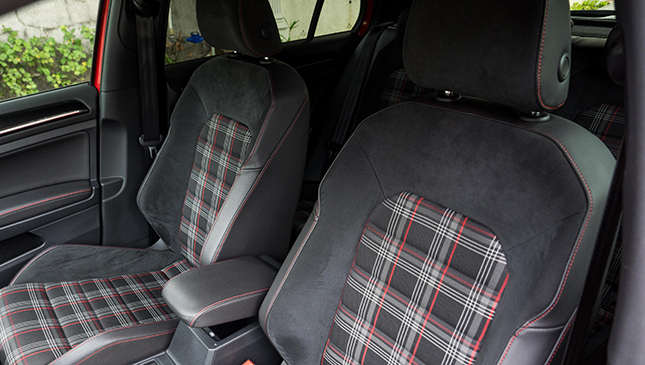 Aside from the plaid seats that look like they were crafted from your tito's polo, there really isn’t anything special about the interior. I was disappointed at some bits of the trim as our 16,000km test car had bits flaking off from the start button. For a car this expensive, you would expect something more accommodating than manual seat adjusters together with a rotary seat back recliner. Those with large watches better take care as adjusting the seat could leave scratches on your timepiece, the car, or both. 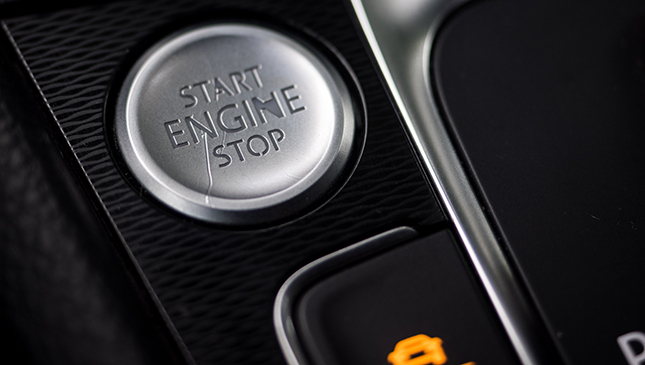 Step on the brake, hit the push start and…nothing. The engine starts up normally and even has a bit of a clatter when cold. So far, so disappointing. 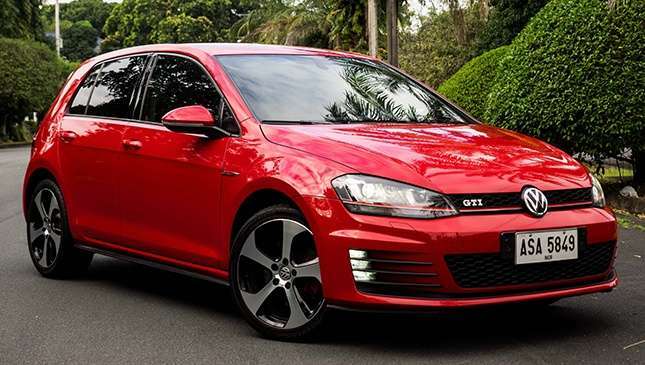 Get it going however, and it transforms into the little devil befitting of the GTI moniker. 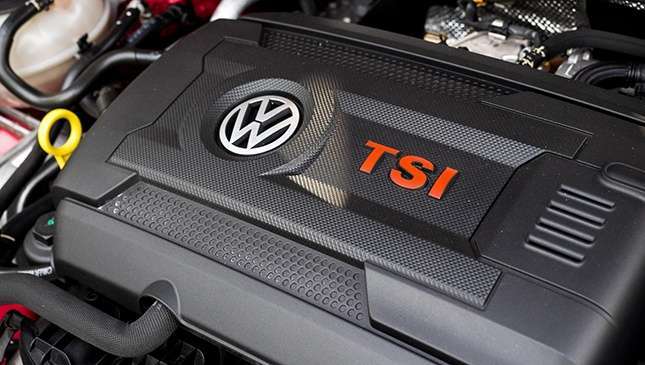 Stomp on the throttle and the Golf’s performance pack-equipped 217hp 2.0-liter direct-injection petrol unit delivers enough power to get you from 0 to 100kph in under seven seconds, all the way up to a claimed top speed of 245kph. That figure might not seem fast on paper, but the way the engine delivers power is, frankly, surprising. Your stomach drops as if you’ve just been ejected from a roller coaster, before traction control kicks in as the front wheel scramble for grip against the massive 350Nm of turbocharged torque. The power is routed through a Dual Clutch Transmission (DCT) and shifts happen faster than anything short of a Porsche PDK. 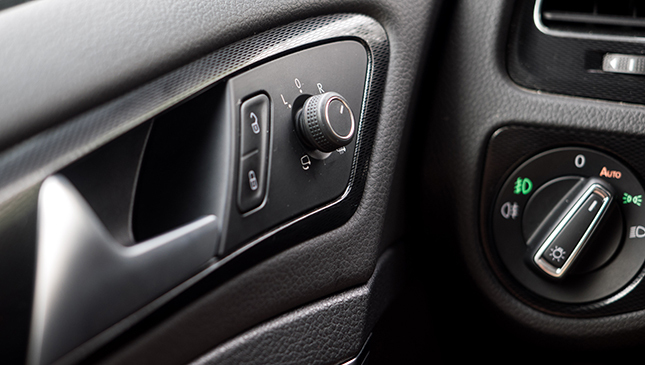 Flip the car into manual and you can use the paddle shifters to rifle off upshifts with the efficiency of a machine gun. Unfortunately, like most DCTs, it is a completely different story when driving around at low speeds. 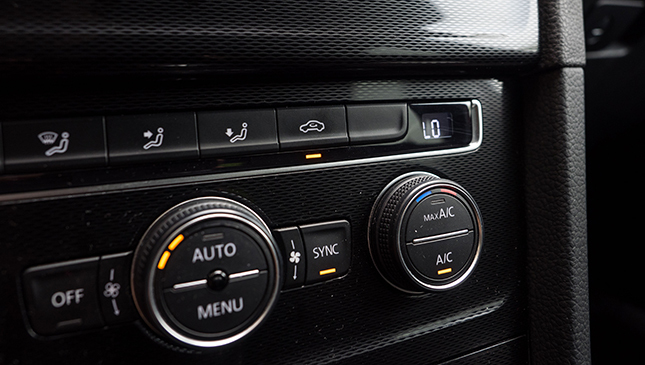 Crawling through traffic is a chore as the gearbox surges and lurches, making smooth driving a challenge. Lastly, there was a moment when I was on an incline with a car behind me and as I lifted off the brake to apply throttle, the car seemed as if it was in neutral; it revved up, but no power was applied to the wheels, which almost had me crash into the very surprised driver behind me. It may have been a quirk, but it was a shock I could have lived without. In light city traffic, I averaged a respectable 10km/L and on the SLEX, it delivered an impressive (for what it is) 15km/L. 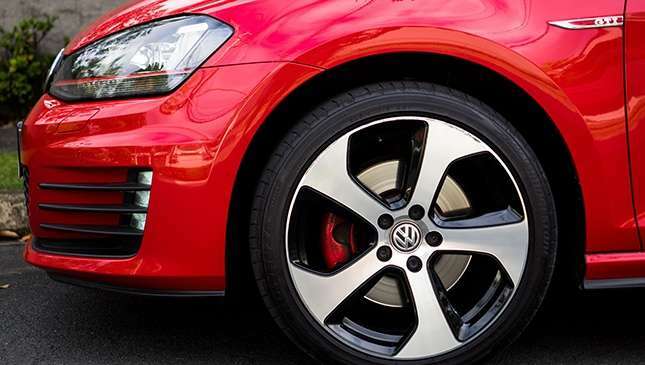 Ride and handling are what make hot hatches, and the GTI delivers in spades. Thanks to a trick front differential standard in the performance pack, the car handles curves better than any other front wheel drive on the market. Basically, if you see a corner, you can take it at almost any speed and the Golf will just deliver you past the apex with nary any drama. This car handles better than most sports cars, and for something with five doors and a boot, it’s astonishing. The suspension is firm, but nothing too uncomfortable as it can handle EDSA’s potholes with a solidness that easily lives up to its German heritage. 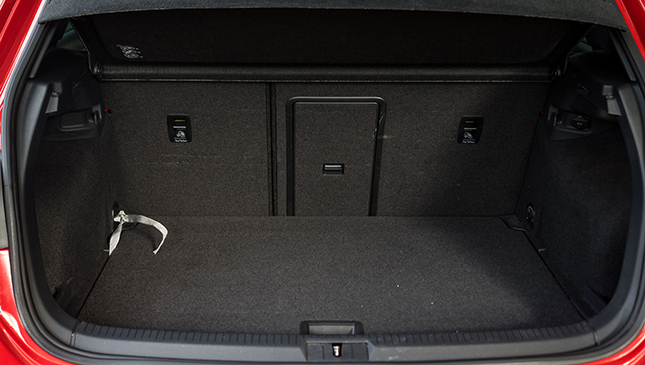 The Golf is well-equipped. 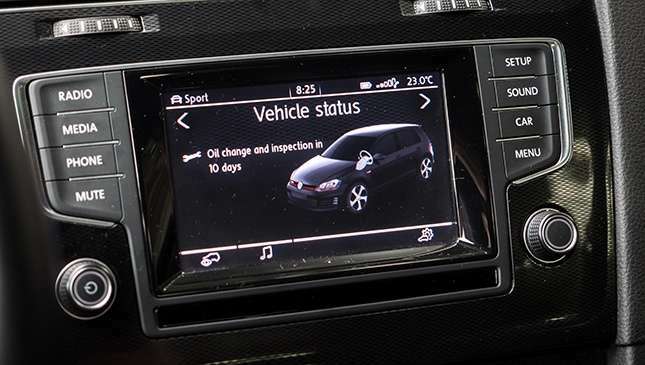 It has a decent sound system (though I’d much rather listen to the growl of the engine), Bluetooth and media connectivity, and the touchscreen made navigating settings a breeze. 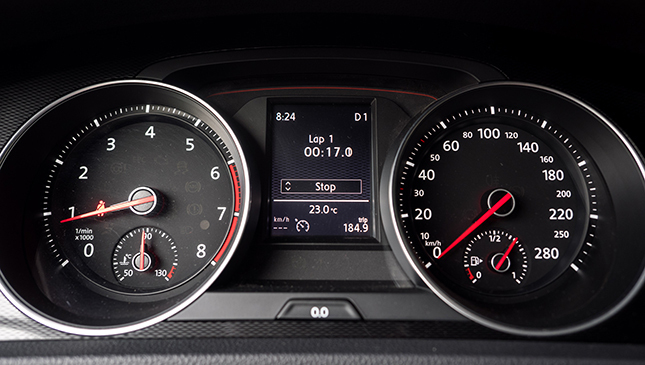 A few things annoyed me: First, for such a sporty car, the gear shift indicator is absurdly tiny and shoved into the corner of the high-resolution display between the gauges. Secondly, the air-conditioner was too loud. Even when set to half power, I had to check the radio occasionally to make sure I hadn’t accidentally set the station to static. It may have just needed a servicing, but it is something that bothered me throughout my time with the car. So there you go. This is the world’s most iconic hatchback and you’d think that with all my complaints that I’d hate it, but you’d be wrong. Yes, the back seats are a bit cramped in the legroom department, and yes, the DCT makes navigating traffic a chore. But my God, find this car an open road, pin the throttle, snap through the gears, experience the sharpest turn-in of almost any car sold locally today and I guarantee you, your face will be sore from all the smiles it will deliver. 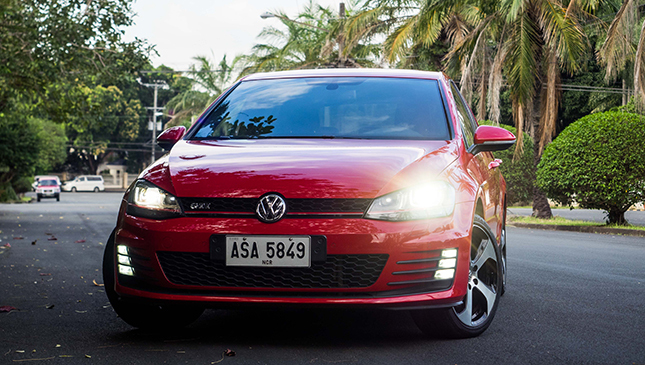 The Golf GTI feels like the icon it is. This is the best hot hatch you can buy today. 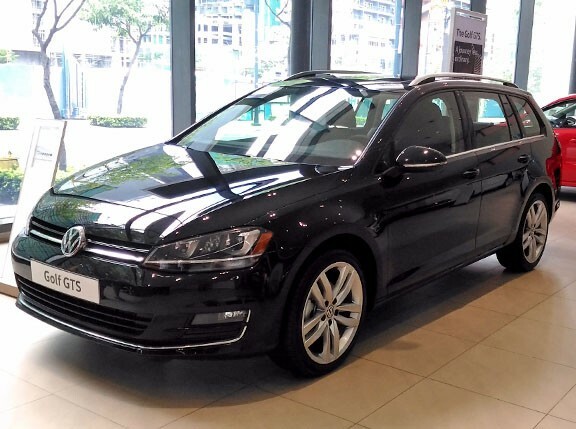 It may be pricy, but you get the practicality of a five-door hatchback with power and sure footedness that can rival any sports car. This isn’t just any pretender to the throne. This is a GTI. 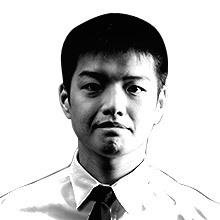 This is genesis.